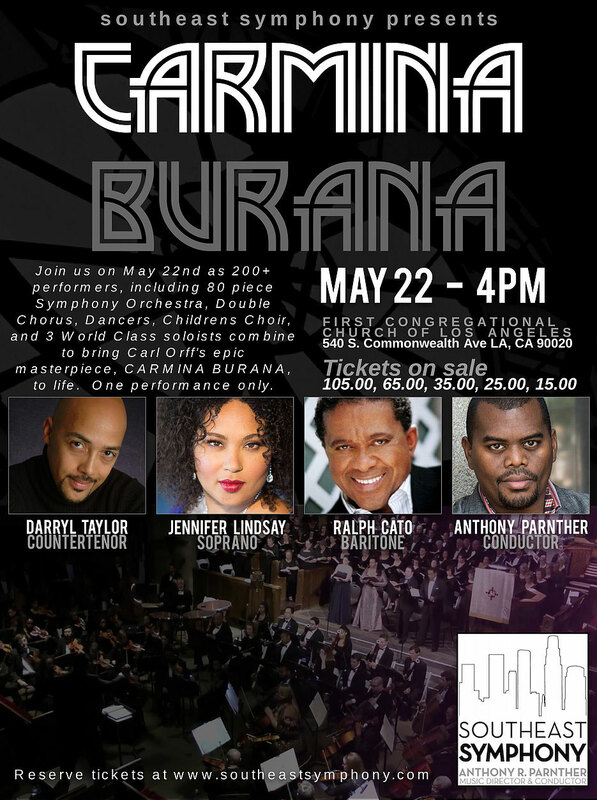 I am singing in Southeast Symphony’s fantastic production of Carmina Burana, Carl Orff’s epic piece for double choir, children’s choir, and orchestra. Led by virtuoso conductor Anthony Parnther, this concert is going to be an invigorating and exciting experience. The concert is May 22, 2016 at 4pm at First Congregational Church of Los Angeles.